To be honest, I prefer grapes with seeds. I think the flavor gene is attached to the seed gene. When seeds were bred out, the flavor went with it. But the idea of standing there, cutting out the seeds in order to make enough for more than two people, would take an entire day (or at least feel like an entire day) ... even if you can convince a spare friend to do the job for you. So I settle for grapes of the seedless persuasion. Leave out the dressing if you wish, but you will be missing out on its sweet-citrus flavor that enhances the taste of the fruit. Not to mention the lovely gloss it adds. Remember ... people also taste with their eyes. Rinse strawberries, blueberries and grapes. Gently pat dry the fruit. Hull strawberries, then cut each in half; if large, cut into quarters. Remove stems from blueberries, if any. Gently combine all three in a large bowl or aluminum tray. Set aside. In a small bowl, whisk together honey and lime juice. Pour over fruit. Adding honey and lime ZEST to any fruit is incredible too! I made this for Easter dinner, served it in a waffle bowl for adults and an ice cream cone weighted down with jellybeans (an idea off pinterest). I told the kids they had to eat the fruit to get to the jellybeans (just 6 jellybeans) and they all ate it first and wanted seconds! Simply delicious fruit salad, and I added mango and cantaloupe since they were on sale instead of blueberries. Thanks! Made this last night...with some changes. I used strawberries, raspberries, blueberries, blackberries, apple and pear. AMAZING! Awesome summer picnic dish! cindy simmons sounds great ,gonna try it soon. I added a mango to it too! Ah. May. Zing. I Love this! I made a few changes as well. I added watermelon, kiwi, raspberries, blackberries, and blueberries! The kids will Love it!! This is so easy and sounds so good.. Its a win win... Gonna try it for our family reunion.. thanks. Made this and it was a hit! We used watermelon, fresh pineapple,Mangos & strawberries! I made this last night for dessert & it was a hit! Just made it. Bringing to summer potluck. Thanks. Found it through pinterest. how many people will this feed? Making it for my Mom's BD---expecting to feed around 50--will this be enough? This makes about 12 half-cup servings. The amount you should make depends upon how polite your guests are (some take more, some take less), how many other desserts are offered and the fact that not everyone eats fruit. I do almost the same recipe only I add 1/2 cup chopped mint and 2 TBSPs of grated ginger. Just made this for a work potluck - came out great! Thanks for the recipe! That sounds so yummy. It actually sounds like and aphrodisiac. MMMMM!!!!! Sounds delightful. One VERY important note though. You should NEVER put a citrus dressing in an aluminum pan. It will interact with the aluminum and leach the metal into the food. Ingested Aluminum is considered a dangerous contributor for Alzheimer's disease. I'd add bananas to this recipe too, for the texture. And maybe raspberries or blackberries. YUM. Your view was first mentioned back in the 60s and 70s. But current medical and scientific studies have failed to confirm any role for aluminum in causing Alzheimer’s. Few believe that everyday sources of aluminum, such as antiperspirants and pots & pans pose any health threat. Top, then stir in Granola. Only to be added last minute. Thank you for sharing. Can't wait to try. Librarians are the best! Regardless of if you believe there are health risks, it still makes the fruit have a metallic taste that distracts from the true flavor. Just like when you let tomato sauce sit in a pan too long. Yuck. This recipe sounds amazing, I'm gonna try it. With grapes with seeds, as long as you know they are there and you are not wondering what you are crunching on it's fine. Grape seeds are very good for you! Use Some frozen limeade!!!! Delicious!!! Add chopped mint leaves to the dressing and it puts iy over the top! Yum!! Substituting maple syrup for the honey gives it another great- kick flavour! can you make this the night before?? This salad is best served the same day you make it. But if you need to make this in advance, cut up the fruit, them store each separately in the fridge the night before. The next day, just before you are ready to serve (or cart elsewhere), combine the fruits, then whisk and pour the dressing over the salad. Wish this was available on Pinterest!!!! made this for my family and they loved it!cant wait to try this with other fruit. I made this recently for friends and it turned out really good!!! THANKYOU! so colorful. It reminded me of summertime! I always make this fruit salad but never made it with any dressing. Thanks and I will be definitely putting the lime/honey dressing on mine next time. I used strawberries, apples, mandarin oranges, and pineapple. The mix of the citrus with the sweetness, and then the strong (almost a slight ferment) was amazing!!!!! a must try!!! the colors are grogeous mixed too! Be careful if this is going to a potluck. Lots of people give their babies fruit, but they shouldn't have honey. Just found this on Pinterest....love the recipe. Gorgeous and yummy. Thanks for sharing! I agree - an unnecessary risk. Most people do not realize how much aluminum they consume per day especially with baking powder and items with baking powder. Wow! I'll have to go look right now. Thanks for letting me know. Has anyone tried substituting lemon juice for the lime? How did that turn out? My teenage daughter took this to her banquet (potluck)dinner last night. She made it up a few hrs ahead of time with the glaze, folded it lightly, covered it with plastic wrap, and popped it in the fridge until time to leave. The hardest part was staying out of it! It looked amazing and smelled heavenly too. It kept beautifully and the natural juices from the fresh fruit blended with the honey-lime glaze wonderfully. A light folding right before serving and it tasted FABULOUS! It was a HUGE hit! She used my biggest glass bowl( which is BIG )and it was cleaned up in not time at all. 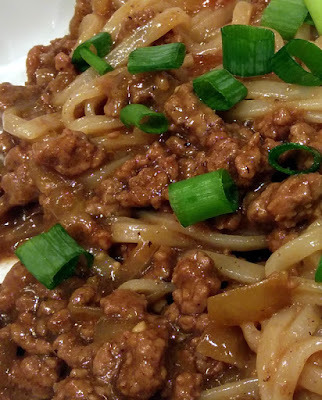 Thank you for the recipe - it will be one of our favorites. Glad your daughter (and everyone else) enjoyed it! What would you recomend to use instead of lime juice? Would lemon juice work, or even some orange juice? Going to make this for a family birthday/mothers day get together this weekend! Thank you for posting this. I love the tartness of lime juice, but not everyone does, so feel free to use lemon, orange or even pomegranate juice. You might have to tinker with the quantities, but taste-testing is part of the fun and joy of cooking ... even when no cooking is involved. Since it's easier to add than subtract, start out with a tablespoon of whatever juice you use, then add more, a teaspoon at a time until you reach perfection. I am a baker. But for my church potluck because of my last name I was in the "bring a fruit or vegi" category. Yikes! Searched the web and found you!! YEAH!!! This was so easy and so yummy! We added sliced kiwi. We also used both red and green grapes. My teen daughter helped me make this. She doesn't like lime or honey but loves this dish! It was a HUGE hit! Thanks! Glad you and your church group enjoyed it! I made it last night and really like it! It tasted so much juicier actually with the honey-lime added (and did look glossier)! Couldn't get enough! I used strawberries/blueberries/green grapes/raspberries. :) Easy to prep! I WOULD MAKE IT AGAIN :) :) I mixed it all in a glass bowl, because of the comments above on aluminum. Fit fine! I made it for a fourth of July breakfast and ended up washing the dressing off of the fruit. I used strawberries, grapes, and cantaloupe, and the combination of cantaloupe and honey was awful. I made this for a party. I knew some people had diabetes, so I made one bowl plain fruit and one bowl with the dressing. Same fruit in both bowls. The fruit with the dressing was devoured and the plain bowl was still more than half full. Teenagers were drooling over the fruit. I finally dumped the plain fruit into the empty fruit bowl that still had some dressing in it. I added chopped walnuts, added a nice crunch to the salad. Dies the lime keep the apple from browning? If you added apple (which is not in the original recipe), it would hold off the browning for a few hours. I tried this last year for my granddaughter's first birthday. It was the first thing gone and everyone was asking if there was any more...delicious and beautiful too! I added blackberries. 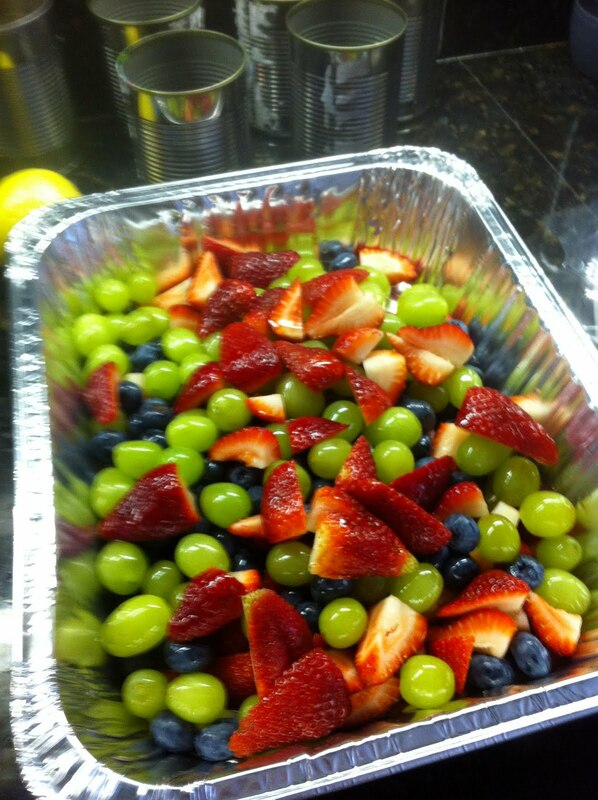 I also made it for work for a potluck where there were 2-3 other fruit salads..same result. This is a keeper! Thanks to your post, now I'm craving on fruit salad. 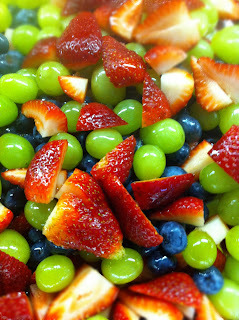 I wanna try to combine frozen fruits and vegetables with Honey-Lime Dressing. I wonder what I taste, I'm very excited to do it. Cheers! Looks so tasty and healthy !! Thanks for sharing ! Looks beautiful! 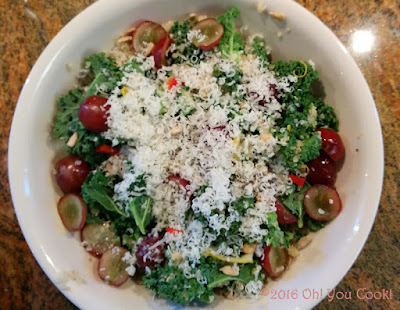 love your first comment about getting someone else to make the salad - sounds like my idea of home help! Your fresh fruit looks delicious! That's a very good point!! Thanks for the reminder!